Billie Ruth Bean, 83, resident of Henryetta passed away Saturday, March 9, in Henryetta. Ruth was born Aug. 18, 1935, in Coalgate to Frank McKay and Florence (Singletary) McKay. 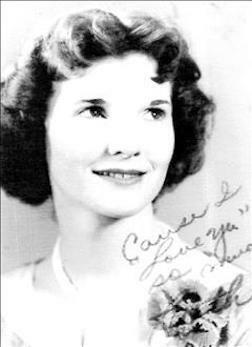 Ruth was preceded in death by her parents, Frank McKay and Florence Singletary McKay and step father, Robert L. Porter; the father of her children, Boyd Stidman; two sisters, Alma Jean Sherrill and Nancy Jo Whitlock; brother, Frank McKay; grandson, Ledger Landon Stidman; and great grandson, Leo Jason Stidman. Ruth is survived by her son, Randall Stidman and wife Anita of Eufaula; daughter, Ragina Hagee of Henryetta; grandchildren, Lacy Stidman of Eufaula and Lucas Stidman and wife Kristie of Hanna; great grandchildren, Lottie Johnson of Eufaula, Laynie Taylor of Eufaula, and Lola Stidman of Hanna; one sister, Nona May Miller of Bartlesville; as well as a host of other relatives and friends. Memorial services will be at 2 p.m. Saturday, March 16, at Integrity Chapel with Rev. Ryan Wells officiating. Services are under the direction of Integrity Funeral Service.